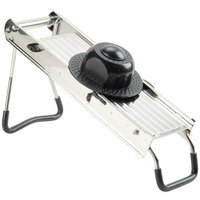 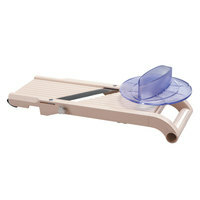 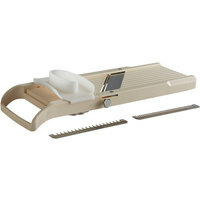 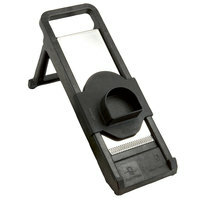 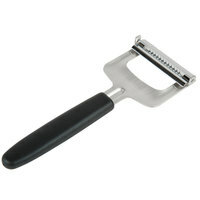 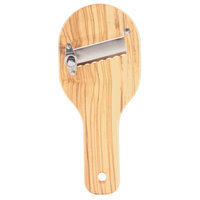 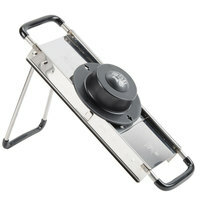 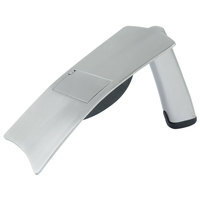 We carry a variety of mandoline slicers that are designed to slice, waffle, and julienne fruits and vegetables. 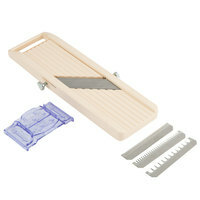 Use a Japanese mandolin to cut up large quantities of ingredients when you need an easy and efficient slicing method. 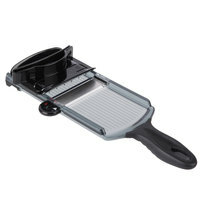 Select your mandoline slicer depending on the amount of use it will get in your restaurant or catering facility, and choose from a handful of blades or several dozen to finish your food prep! 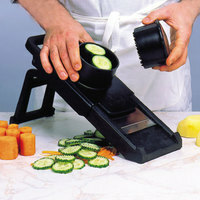 These products are must-haves when you need to slice vegetables. 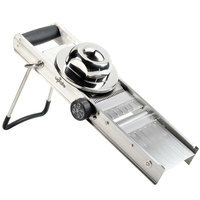 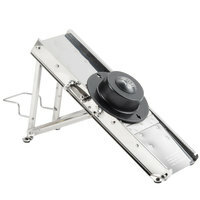 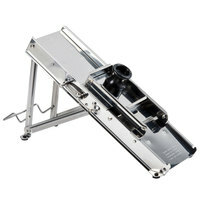 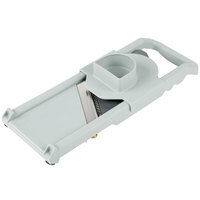 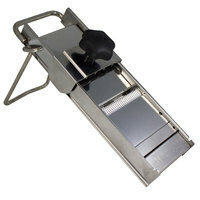 Are you looking for the best commercial mandoline food slicer on the market today? 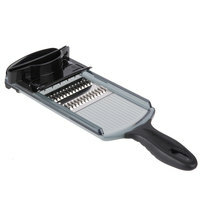 We have you covered with our selection of mandoline slicers that boast many added features including built-in blades, interchangeable blades, blade guards, and julienne blades. 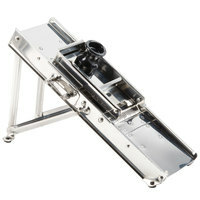 Most models are made of stainless steel for long-lasting durability as well! 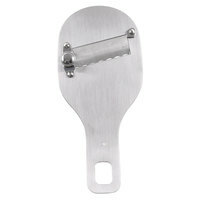 Pusher guards are also specific add-ons that are designed to protect your finger tips from coming in contact with the slicing blades for the best in safety.